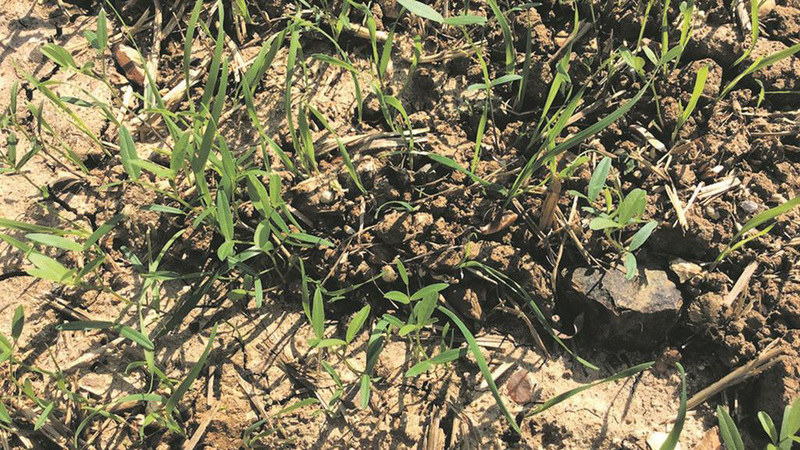 Winter cereal growers facing uncontrolled black-grass brought on by early drilling and the dry autumn are being urged to make an honest appraisal of its likely economic impact, in order to plan appropriate action. To help growers take appropriate action, Mike Thornton, head of crop production for agronomy firm, ProCam gives his top three tips for handling the troublesome weed. Take time to check all fields to identify those where control has fallen short, and to identify whether whole fields or just parts of fields are affected. Count the numbers of surviving black-grass plants per square metre and assess the weed and crop growth stages in affected fields. Another consideration, says Mr Thornton, is how cloddy the soil surface is, because soil clods could release more black-grass seeds as they weather down. Using these assessments, calculate the potential yield loss, based on 12 black-grass plants/sq.m causing a five per cent yield loss in winter wheat. More importantly, says Mr Thornton, remember to also take account of longer-term problems caused by seed shed from these survivors; each surviving black-grass head can produce at least 100 seeds. Depending on the particular field situation, it may be possible to treat with a herbicide, says Mr Thornton, though the success of this will diminish as black-grass grows larger. Instead, it may be more economic to destroy the crop, or at least part of it, with a total herbicide and either replace it with a spring crop or leave the destroyed area fallow. “If replacing with a spring crop, check that previously-applied crop protection inputs will allow this. Where possible, spring barley can be a popular replacement, with modern varieties yielding well and income potential from straw. Alternatively, if part of the field is left fallow, there will be no income from this but you often see substantially less black-grass in these areas in the next crop the following year,” says Mr Thornton.